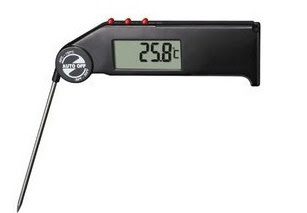 Probe thermometer with 130mm stainless stell probe which folds in and out body and max/min memory. Supplied complete with wrist strap. Available with factory or UKAS calibration certificates.